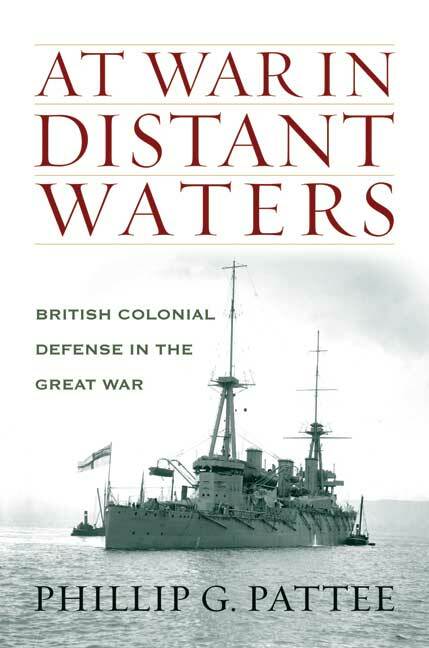 You'll be £30.00 closer to your next £10.00 credit when you purchase At War in Distant Waters. What's this? The naval story of the First World War is so often told in relation the the North Sea and the war in Europe, but in this new book the author concentrates on the Royal Navy's offensive operations further afield and argues that they were not, as often portrayed, unnecessary sideshows but absolutely critical to Britain's very survival. These expeditions fulfilled the important strategic purpose of protecting British trade where it was most vulnerable. Trade was not a luxury for Britain; it was essential for maintaining an island nation's way of life and, indeed, for prosecuting the war in Europe. The empire's global trade was both a valuable and vulnerable target for Germany's various commerce raiders and U-boats and had to be defended not just in home waters but further afield. This new book argues that the several combined military and naval operations against overseas territories constituted parts of an overarching strategy designed to facilitate the Royal Navy's gaining command of the seas. For instance, in Mesopotamia expeditions directed against the Ottoman Empire were launched to protect communications with India and British oil concessions in Persia; the operations against German territories exterminated the logistics and intelligence hubs that supported Germany's commerce raiders. A finely researched and written book for both naval enthusiasts and historians. 'At War in Distant Waters' convincingly argues that the British, although focusing the majority of its surface fleet in the North Sea, keenly recognized the vulnerability of trade and commerce throughout its far-flung empire. The strength [of the book] lies in its ability to link naval affairs with national grand strategy. Thoroughly well researched and lucidly written. Well recommended. Pattee provides fresh insights into the overlooked British effort to protect her colonial empire. This exhaustively researched and well-written book is a timely addition to the naval literature of the First World War. Highly recommended. The author provides fresh insights into the overlooked british effort to protect its colonial empire. This exhaustively researched and well written book is a timely addition to the naval literature of the First World War. Highly recommended. A well-structured and very readable contribution to the subject matter. PHILLIP PATTEE is a retired US Navy submarine officer, currently teaching strategy and military operations at the US Army Command and Staff College. As well as a degree in mechanical engineering he has completed a PhD in military and diplomatic history.